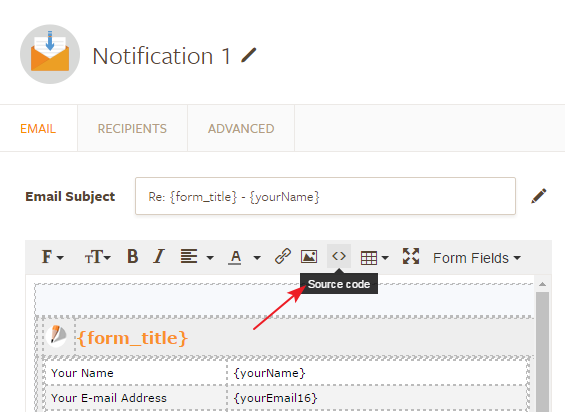 How to customize email notifications? 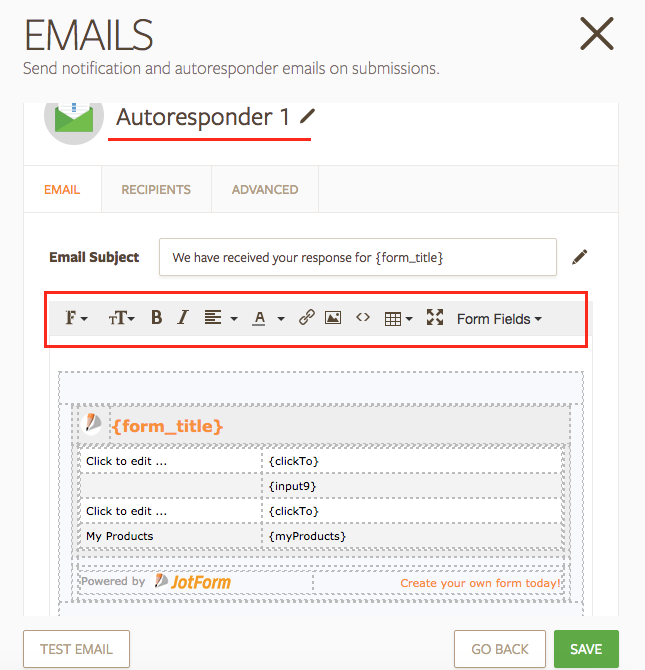 You are able to customize both notification and autoresponder emails. Please follow the steps below. 1. Click on Emails button. 2. Edit your notification or autoresponder. 3. You can customize your emails as shown in the screenshots below. 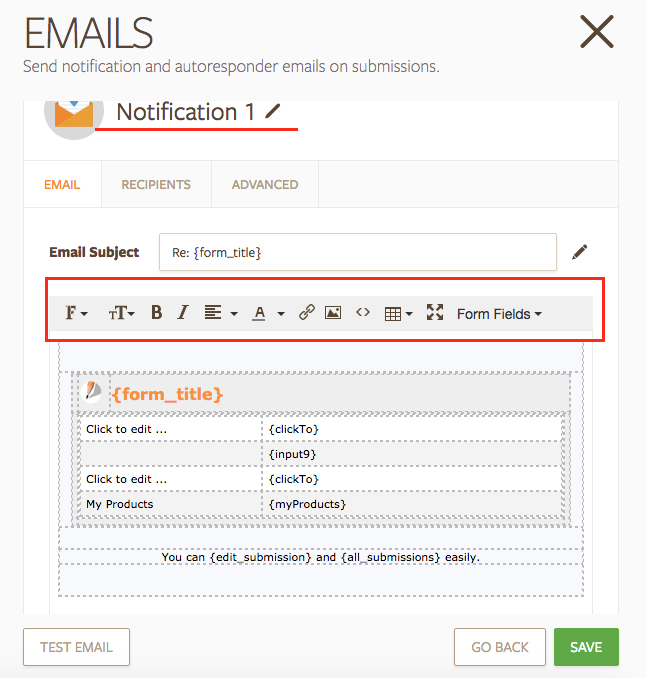 Please have a look at the user guides for further information on email notifications and autoresponders. I hope these help. Feel free to contact us if you have more questions. I'm referring to creating a more professional theme to an email response. Can this be done? Unfortunately, there are no pre-built themes available for emails at the moment. It is required to edit the email body manually. If you have any template available in HTML, you may embed it in the source code of the template in the email body by clicking on source code icon.